Noshers! 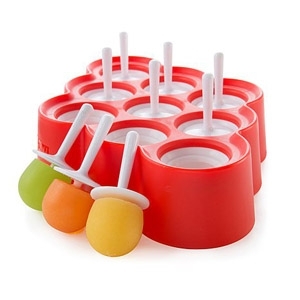 Here are our Hanukkah gift picks for a happy and healthy holiday around the table. You should also check out our Hanukkah 101 Shopping Guide, “Shalom, Y’all!” Southern & Jewish Gift Guide, Gift Guide for Jewish Rainbow Pride, and our Gift Guide for your Favorite Camp Kid. ($9.99): it’s fragrant, beautiful, and BPA-free. Put that in your menorah and burn it. —you love it, you freeze it. Do you strive to be a balaboosta? 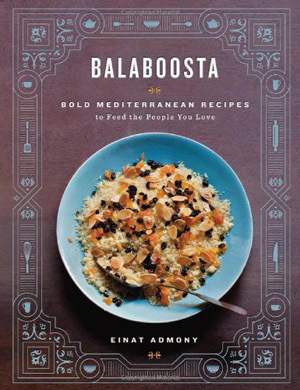 (That’s Yiddish for “perfect homemaker.”) Well, the Balaboosta Cookbook features 140 delicious Mediterranean recipes and will put you well on your way! Are latkes and knishes ever in your hunger wishes? 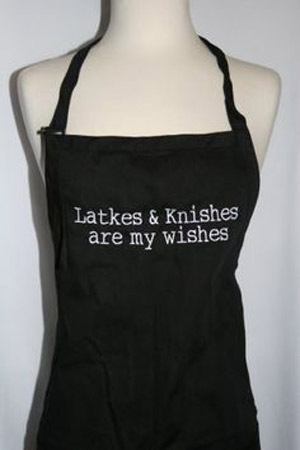 If so, this “Latkes & Knishes Are My Wishes” ($19.99) is adorable and all black, so you can get it as oil-drenched as you’d like! 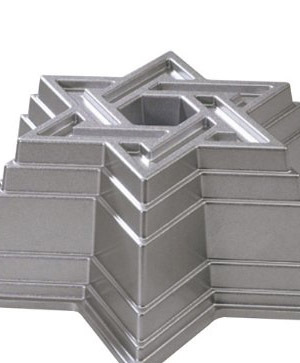 This Star of David Bundt Pan ($28.27) makes a festive Hanukkah cake with limited effort! 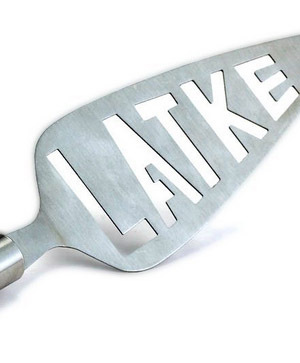 You can’t be more prepared for serving up latkes this Hanukkah with this Stainless Steel Hanukkah Latke Server ($8.95). 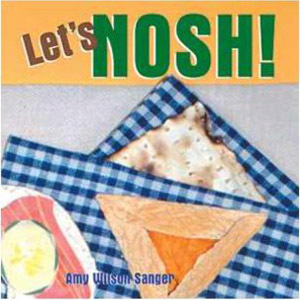 Let’s Nosh! ($6.29) is the perfect book of easy and satisfying Jewish comfort foods, from bagels to latkes and everything in between. 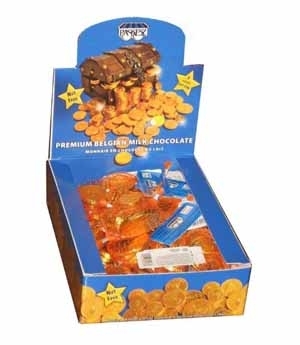 Your family will be very pleased with these snacks. You weren’t just going to line up those naked bottles of wine and call it a party, were you? We didn’t think so. 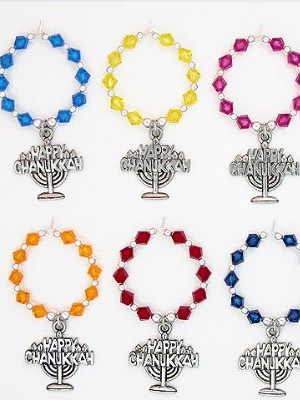 These Happy Hanukkah Wine Charms ($35) look pretty cute around any (glass) neck. 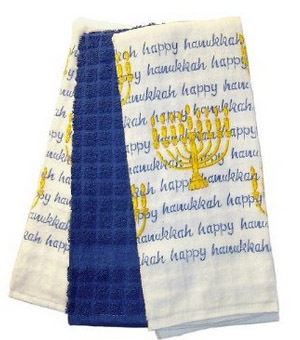 These Hanukkah Menorah Kitchen Towels ($9.40) come in sets of three and will bring some easy festivity to your home (and cleanup!). We hope this guide makes it easy for you to pick out all the gifts for the nosher in you and your family! Happy Thanksgivukkah 2013 to you! A Latin twist on a classic Hanukkah dish.